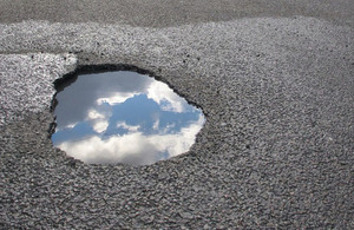 Ministers have allocated £23m to fund research and trials into technology that could among other things help stop potholes forming. The seven winning bids in the SMART Places project from council directors’ body ADEPT will share £22.9m funding, with projects now going forward into Live Labs, where new road surfaces and repair technologies will be put through real-world tests of to see which emerging innovations provide long-term solutions. The schemes include expanding the test of plastics in roads in Cumbria, using kinetic energy from Buckinghamshire roads to power lighting and using geothermal energy created from paths to keep car parks and bus stations in Central Bedfordshire from freezing over. The two-year project has been supported by the Department for Transport (DfT) and ADEPT’s corporate partners – SNC-Lavalin’s Atkins business, EY, Kier, O2, and Ringway – with the aim of introducing digital innovation outside the strategic road network. Transport secretary Chris Grayling said: ‘Potholes are the number one enemy for road users and this government is looking at numerous ways to keep our roads in the best condition. Click here for the ADEPT brochure on the successful bids. The council would work with Transport Catapult Systems and an innovative partner to manufacture recycled plastic/composite columns to mount lighting sensors, 5G antenna and large format schemes in public areas. They will also use sensors to collect data across their highway network including the use of a central management data system to collect data on air quality, road surface temperature, ANPR, CCTV. They will also include the application of gulley sensors at various locations to help improve efficiency in highways maintenance service. In addition they will use new kinetic energy recovery from the carriageway to harvest energy in roadside battery units. The Live Lab will also introduce new solar energy generation including solar roads and footways. The bid includes a new turbine to help harvest energy to power street furniture using the wind. It will also include on-street charging points, a new e-bike hire scheme and a trial at Aylesbury of autonomous pods. The bid would test solar power in a number of footways to create and store energy. The bid also would install a surface course in Flitwick town centre using solar or kinetic power capability. They would include a “Power Road” solution, already piloted successfully in France, to use geothermal energy connected to water pipes laid just below the surface to de-ice car parks/bus stations in sub-zero weather conditions. To extend Cumbria’s existing trial of the use of plastic roads. The trial will also would produce a guidance document on the use of this new surface material solution and also an APP. This project addresses the issue of how the concept of a Smart Highways network can be extended from primary roads to a local road network. The project will be developed around the private road network on the “small town” living laboratory of the Keele University campus. The project will develop, test and demonstrate how such a network can be enabled to retrofit Smart Highway design, construction and maintenance to support the use of alternative approaches to both people and freight transport. A control centre to function as an asset and data manager will be integrated with sensor and control technologies. The living laboratory will be adjacent to a proposed public transport hub to enable rapid roll-out of development The Highways and AV living laboratory base at Keele University will focus on the development, testing and demonstration of Smart infrastructure and its interaction with new service propositions, CAVs and people and alternative fuels with a particular focus on rural and small community roads. The objective will be to develop new approaches to: instances of congestion and incidents; improved user / customer experience / perceptions and health; improved real-time network understanding (assets and their use); improved citizen engagement; optimisation of network assets and whole system performance and improved air quality through the development of carbon reduction approaches. To deliver these objectives the project will establish a new control centre to act as an asset manager and data broker between different services and provide the platform to which new technology can be tested, as far as possible in a plug and play approach. This will be integrated with the deployment of a number of different sensors across the Keele Campus road and energy network to establish what is required for a minimum viable product. The bid would be for a local highway asset management technology incubator and would create a centralised digital hub for all asset management data. This would link to dynamic network sensors which are linked to assets such as drainage, winter service (gritters) and gulleys. It should lead to more efficient highways maintenance service and allow funding to go further. The proposal will utilise existing infrastructure and smart communication technology. Existing sources of data from traffic signal detectors will be fused with mobile phone data in order to provide a multi-modal view of real time movement across the Thames Valley. This will link with air quality data to produce a public health exposure model. The data is expected to inform transport, environment and planning projects throughout the Thames Valley region. Adapt or replace lighting columns to make them suitable for use as charging points or Wi-Fi hubs. Plus trialling sensors from multiple suppliers to see which work best in various conditions. All trials to be scalable so suitable for rolling out nationwide. TfWM would support and lead the collaboration. The team would take data from video analytics pilots in 10 selected local road corridors, collect, analyse and model it. The pilots would build up a picture using video analytics to work out point to point vehicle journey times during different time windows. Analytics will also learn journey times. As well as number plate recognition it will identify other features and colours from vehicles such as e.g. logistics company brands. Further lines of investigation may include monitoring of cycle usage and pedestrians, which would be of benefit in programmes such as the West Midlands rollout of Next Bike regional bike share schemes. The team will bring analytics through to push messaging via existing applications like WAZE, City Mapper and Google who would help target messaging; as well as vehicle manufacturer navigation systems (OEMs) and variable-message signs on local roads. The messaging would enable people to make travel decisions with a higher degree of accuracy. The result would be to re-mode, re-time, re-route or remove their journey. Video analytics would enable the team to monitor the impact of the messaging around areas of planned disruption. At the same time the project would look at human behaviour– using ethnographic and market research along the selected corridors and seeing how people react and take action as a results of the messaging. This would build out from a piece of work on personas undertaken by Exploring Intelligent Mobility.